Photo: Chief Constable Steve Finnigan. Credit: Lancashire Constabulary. Lancashire Police has today (February 25) been rated as ‘good’ in an assessment of its effectiveness, efficiency and legitimacy published by HM Inspectorate of Constabulary (HMIC). The Force was given an ‘outstanding’ rating for its efficiency and ‘good’ for the legitimacy and effectiveness with which it keeps people safe and reduces crime. The assessment gives Lancashire Constabulary an overall grading of ‘good’, placing Lancashire Police among the top six forces in the country. Chief Constable Steve Finnigan, pictured, said: “Once again Lancashire has been recognised as a great force and I am immensely proud that the work we do to keep people safe from harm, especially the most vulnerable members of our communities, has been recognised. “We know that the way to build confidence in our policing services is to have open, transparent and effective engagement with our communities and I am proud that Lancashire has been recognised as being outstanding in this area. We police by consent and this relationship is extremely important to us. “I am constantly impressed with our workforce, and how officers and staff come to work every day dedicated to our mission to protect the public. We would not achieve such fantastic inspection results if it wasn’t for them and their dedication. This is even more noteworthy when considering the uncertainty policing was facing before Christmas due to funding pressures. “Our main priority is ‘To Develop, Protect and Invest in Local Policing’. That primarily means more constables and police staff into Response Policing, Investigation, Public Protection, and Neighbourhood Policing/Early Action roles. 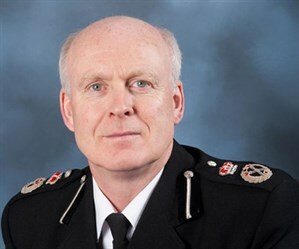 Clive Grunshaw, Lancashire Police and Crime Commissioner, said: “I am delighted with the comments from the inspector and the outcome of the report, who praised the force for the way it keeps the people of Lancashire safe. It gives me great pride to see Lancashire among the top-performing forces in the country and credit must go to the Chief Constable and his staff for all their hard work. “This was a thorough inspection programme by HMIC looking at all aspects of policing and it is reassuring to have the good work we do every single day highlighted like this. We were rated ‘outstanding’ for efficiency and for the way we engage with the public. “Our fantastic Early Action work, to protect vulnerable people and divert individuals away from crime, was singled out for praise along with the way we tackle organised crime in Lancashire. This highlights the range of ways police work to keep people safe. We have also been praised for the ‘transparent and responsive’ leadership within the force and the way that helps contribute to the good work being done across the county.